Can the mimosas and other plants have an instinct and imagination? 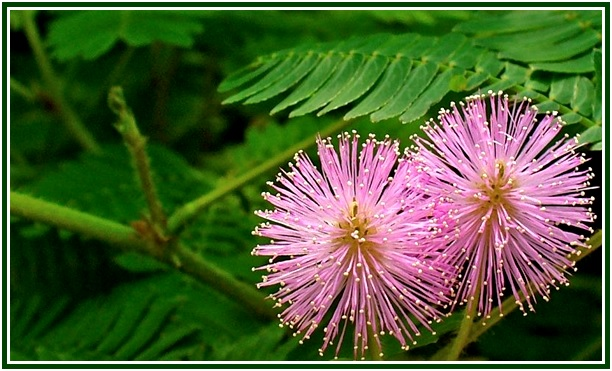 Mimosa is a genus of about 400 species of herbs and shrubs. The generic name is derived from a Greek word meaning “mimic”. Perhaps this is why so many people use to talk to trees and plants, and sometimes to listen wordless sentences from them. Plants may have feelings indeed, though not in the human sense of the word; and Plotinus wrote that they search for happiness . Plants may have something of great importance to teach humans, and they learn from us as well. Being a microcosm or a summary of the universe, each human being is able to observe his relationship to the celestial objects, in our solar system and around it. The inner interaction with the sky can be read through a philosophical approach to the astrological science. Every citizen will expand his vision of life by observing his daily relation with the various kingdoms of nature. How is his dialogue with the animals, and his individual Karma regarding them? It is worthwhile to observe one’s interaction with the wind, the air, the sky, the water, the fire, the lightning, with the ground and the subtle spaces of invisible realms. “Isis Unveiled”, H. P. Blavatsky, Theosophy Co., Los Angeles, volume I, p. 396. Plotinus, “The Six Enneads”, see the First Ennead, Fourth Tractate, on True Happiness, items 1 and 2. (“Great Books of the Western World”, Encyclopaedia Britannica, 1952, “Plotinus, The Six Enneads”, p. 12. An initial version of the above article was published at the August 2014 edition of “The Aquarian Theosophist”, pp. 13-14. It had no indication as to the name of the author. Original title: “Blavatsky Discusses the Intelligence of the Mimosas”.